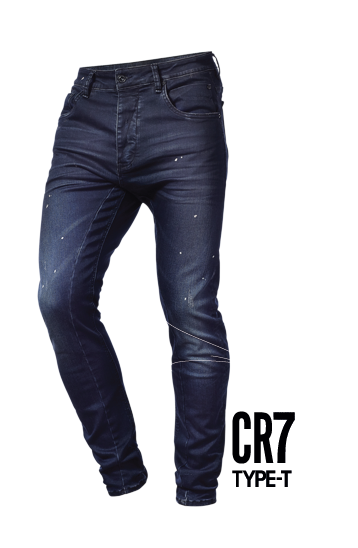 The CR7 Type-S Super skinny jean is designed for comfort and movability. Created using CR7 stretch fabric, the Type-S fits snug at the hip and tight to the body from the thigh down to the ankle, without sacrificing any of the movability we demand. Authentic indigo yarns come together in this cotton blend resulting in a soft feel and the ultimate in comfort. An update on the traditional straight leg, the CR7 Type-R Modern straight jean has been designed using CR7 stretch fabric for enhanced movability that delivers ultimate comfort. An easy wearing mid-rise with a straight leg that's slightly tapered at the ankle. A timeless soft-touch denim in a classically rich blue with just the right amount of stretch to move with you and fit seamlessly. The CR7 Type-C has been designed for perfect balance, blending a mid-rise slim jean at the hip and thigh with a straight leg down to the ankle. 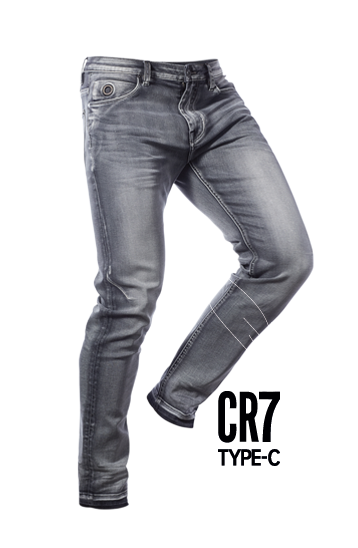 Created using CR7 stretch fabric, this jean provides a versatile fit and a classic look. Dark denim reinvented for a modern focus on comfort and soft flexibility. Each yarn is richly dyed for a sleek dark hue. 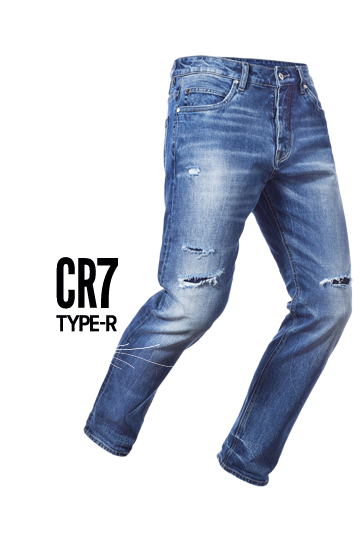 The CR7 Type-T Tapered jean is a low rise with a slight drop crotch giving extra room in the seat and thigh. The arced legs have been engineered to create a dynamic 3D fit that tapers down to the ankle for a modern fit. A high stretch denim with a soft comfort feel, the emphasis is on freedom and natural movement for the wearer. 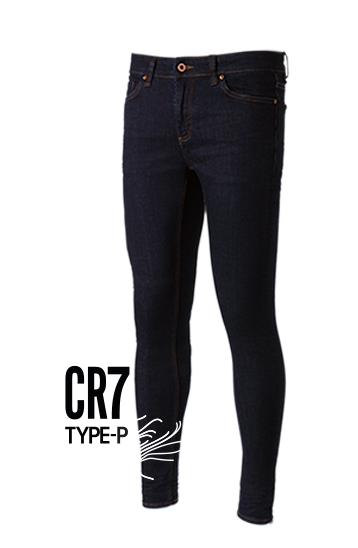 The Type-P denim jean is the epitome of confidence. Made from our best stretch denim, this jean fits low on the waist and is tight down to the ankle. Details include the iconic white rivet and torqued back pockets. Cotton blend with soft hand feel & focus on comfort with authentic indigo yarns.